☕ Good Saturday morning! Happy to be the first to tell you it's not Shutdown Day 36. Yesterday was a devastating day for President Trump as he heads into his reelection campaign and an era of divided government. 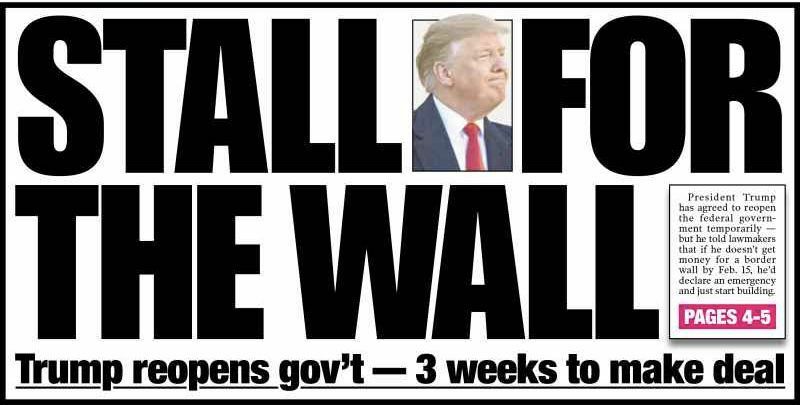 As Jonathan Swan puts it: He blinks; he disappoints the people who still love him; he gets no credit for reopening the government, given he already took credit for the shutdown; and we’re back where we started after 35 days of pointlessness. He ended the shutdown without getting anything obvious in return, after caving earlier in the week to her refusal to hold the State of the Union address in the House chamber. "Pelosi 2, Trump 0," a senior administration official instantly texted me. Drudge's banner, with a Trump pic: "WALLED IN." 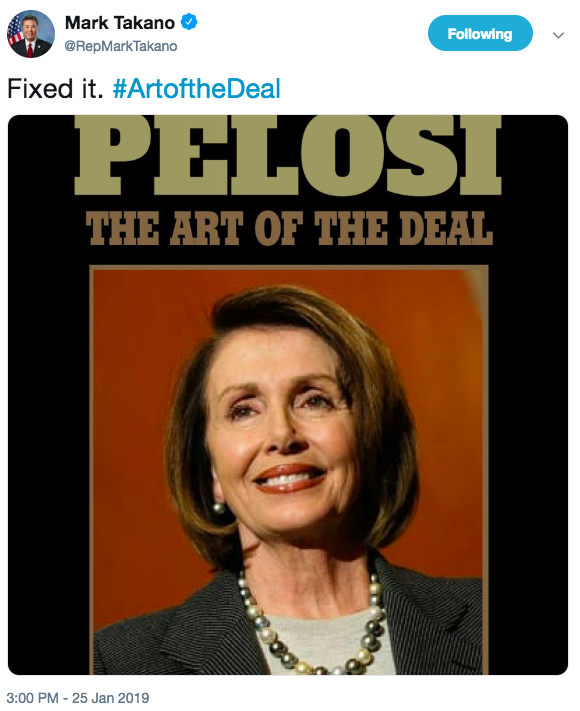 Swan tweeted: "A former White House official texts me, unsolicited: 'Trump looks pathetic...he just ceded his presidency to Nancy Pelosi.'" Maggie Haberman tweeted: "Not only did Trump alienate moderates with a shutdown, he upset his core 35 percent by caving — and, most significantly for 2020, did it all as Democrats held together on a major issue fight." A "senior Trump Campaign official was directed to contact STONE about any additional [WikiLeaks] releases and what other damaging information [WikiLeaks] had regarding the Clinton Campaign." The midterm results left Trump weaker in battleground states than many people in his orbit seem to realize. As Jim VandeHei and I pointed out in November: "[A]ll the big trends are working against Trump and the GOP." Be smart: An adviser to top Republicans told me this week's debacle "rendered Trump impotent." "Total surrender," the adviser said. "Disorganized, disoriented and now disrespected." "The Senate Rs were about to cut and run. He had no exit ramp." "At least it got Stone off the top of the news." Roger Stone texted me before going to bed: "I will prevail." "No matter how much pressure they put on me, no matter what they say, I will not bear false witness against Donald Trump. I will not do what Michael Cohen has done and make up lies to ease the pressure on myself." On CNN, Chris Cuomo asked Stone if he was making the unusual move of going on the air to defend himself because he thinks Trump will pardon him. Stone said: "I've never had any discussion with him or communication with him regarding that." Asked if he would accept one, Stone said: "I don't expect to be convicted, so I'm not going to address it. I don't address hypothetical questions, as you know." Asked if he would cut a deal to avoid a trial: "I know that I am innocent. My intention is to plead not guilty and to fight the charges, and I have had no discussion with anyone regarding a pardon." "I believe in God. I know what I have and have not done." "I have to raise $2 million through stonedefensefund.com because I’m not a wealthy man, and the legal expenses so far have been very damaging, very devastating." 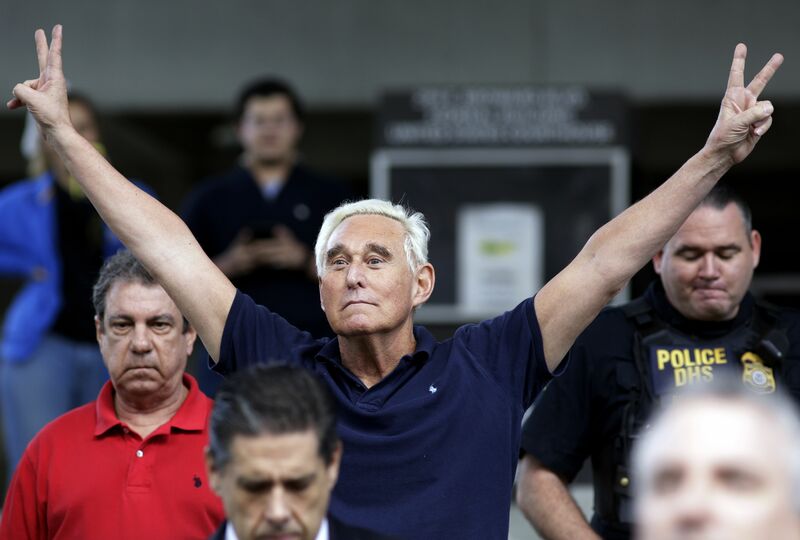 What's next: Stone will be arraigned Tuesday in D.C.
4. "Steve Jobs Never Wanted Us to Use Our iPhones Like This"
Once you’ve stripped away the digital chatter clamoring for your attention, your smartphone will return to something closer to the role originally conceived by Mr. Jobs. It will become a well-designed object that comes out occasionally throughout your day to support — not subvert — your efforts to live well. It helps you find that perfect song to listen to while walking across town on a sunny fall afternoon; it loads up directions to the restaurant where you’re meeting a good friend; with just a few swipes, it allows you to place a call to your mom — and then it can go back into your pocket, or your bag, or the hall table by your front door, while you move on with the business of living your real-world life. "Johns Hopkins University is buying the landmark [Pennsylvania Avenue] building that houses the Newseum for $372.5 million, a purchase that will enable the struggling cultural institution devoted to news and the First Amendment to seek a new home in the Washington area," per the WashPost. "The Freedom Forum — the private foundation that created the Newseum and that is its primary funder — said the museum will remain open at 555 Pennsylvania Ave. NW for the rest of the year." 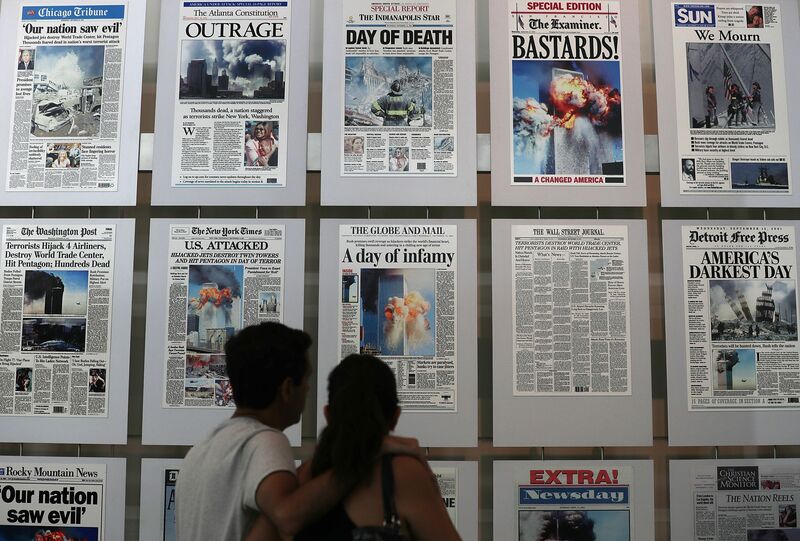 "[T]he Newseum posted an annual deficit each year." Peter Prichard, chair of the Newseum board of trustees said in a release: "We stand ready to continue much of the Newseum's important work ... through digital outreach, traveling exhibits, and web-based programs in schools around the world, as well as hopefully in a new physical home in the area."